You ever go on a trip, find your­self in need of some shades, and buy those plas­tic ones from the gas sta­tion or mar­ket? Well… these are way better—way bet­ter. What they make out for great qual­i­ty, they also com­pli­ment with a great price. These Pre­mi­ums, pic­tured above, are only $14. They fit most face con­tours out there so its a min­i­mal risk of your face reject­ing it if you order them online. 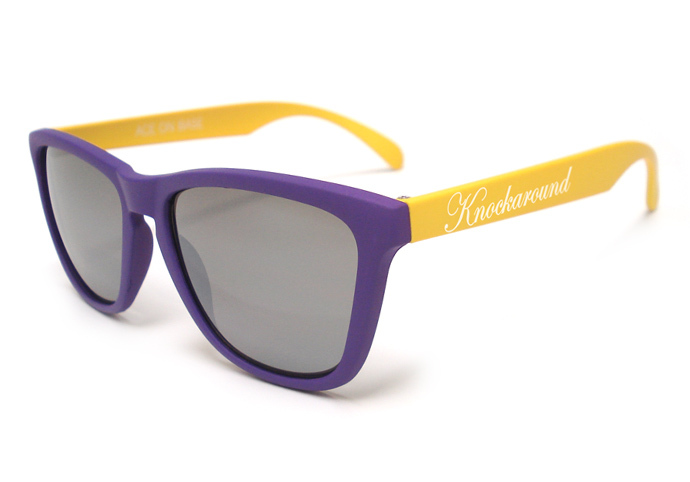 Each pair is marked inside the right tem­ple with the Knockaround mantra: “ACE ON BASE”.1 Also, on the left-out­side tem­ple of the shades is the company’s “Knockaround” mark. 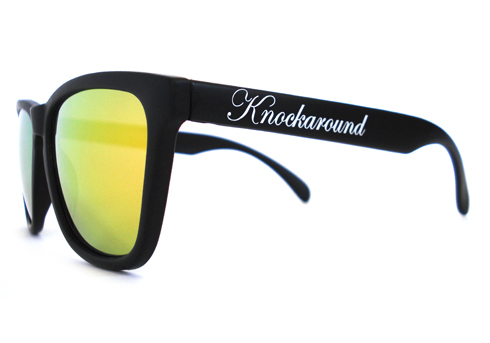 Big enough to show every­one what you are rockin’ while on your feet, chill­in’ or cruisin’ the streets. Ben Epstein couldn’t have said it any bet­ter, “stick with the clas­sics.” In this case, for me, the Pre­mi­ums. And of course, here’s a com­par­i­son of how it looks through these Sun­set lens below (left w/o, right is with). I took both on the iPhone 4 with HDR.